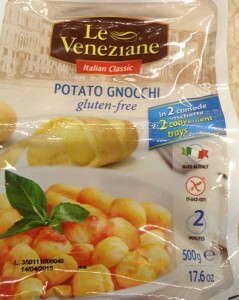 I recently found gluten free gnocchi by La Veneziane on Ocado, and added it to my order on a whim. What a find! Before my coeliac diagnosis I always had found gnocchi was a bit hit and miss in the taste stakes, so I tend to have low expectations for gnocchi. 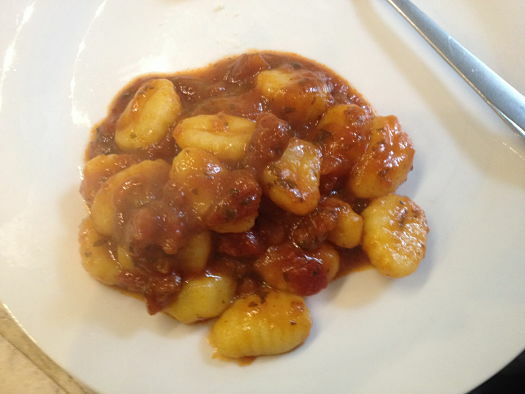 This gnocchi tastes great and cooks in 2 minutes. I added a single serve pasta sauce packet mix, so the whole meal was ready in minutes. This really is fast food! It is in two x 250g packs (long-life packaging), so is great for a taking on a self-catering holiday. I used one 250g pack for a side dish for two people, or it would be suitable as a meal for one. If this post has been useful for you, please share using the buttons below!